What do the weapon updates mean for you and your playstyle? This article will theorize about how these changes will affect you and your favorite weapons. 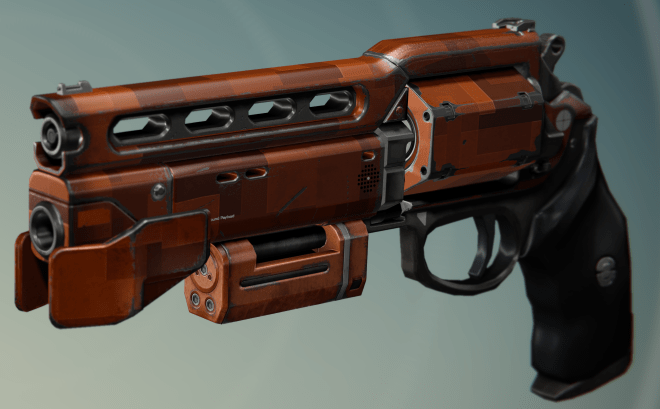 Everyone’s favorite (and only) primary weapon for Iron Banner will be losing some range. Bungie’s intended change will further divide auto rifles between high stability—for close quarters combat—and range—for mid-range engagements. In addition, auto rifles will be on the receiving end of a 2.5% damage reduction that will affect low RoF, high impact auto rifles more. It’s a shame that Bungie didn’t limit this change to PvP. According to Bungie, auto rifles that already have high accuracy will be the least affected by the range reductions, putting guns like SUROS Regime, Monte Carlo , and Vanquisher VIII out of harm’s way. The minor decrease to damage will largely be trivial in PvP, where you’ll just need to land an extra shot or two. This change is likely to be felt more in PvE, where damage output will be reduced exponentially during longer engagements. 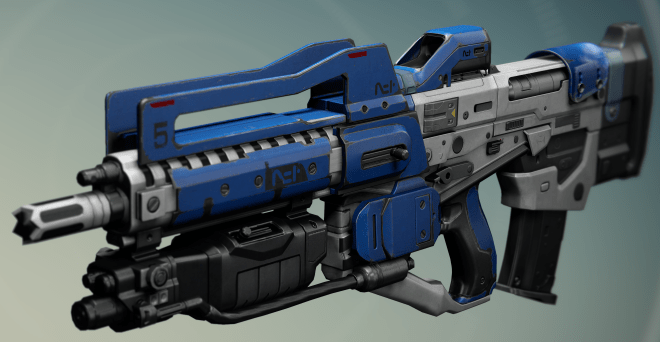 It remains to be seen exactly how the auto rifle nerfs will shake out, but this patch does address the imbalance between “bullet hoses” and the more powerful low RoF auto rifles. Conversely, this patch may well be a backhand to high RoF auto rifles, weapons that typically suffer from low range, by relegating their use specifically to close quarters combat. Necrochasm probably shed a tear reading the update. Other than a select few, pulse rifles are in a bad place; thankfully Bungie is well aware. Pulse rifles are getting a new lease on life with the upcoming patch, benefiting from a blanket 9.7% increase to DPS. Suddenly, Red Death just got even deadlier. This buff to pulse rifles is better late than never. Shortly after launch, the entire weapon class was deemed objectively worse than any other primary and the community largely left these weapons at the tower. The signature burst fire of pulse rifles provided no real benefit, slowing these weapons down and making them unable to compete with other primaries. 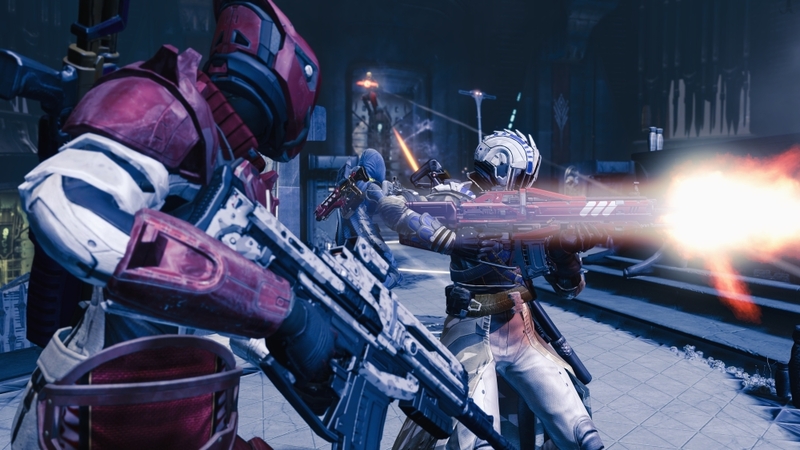 Between the high reward of landing rapid precision shots using a hand cannon or simply holding down an auto rifle trigger there was no room for pulse rifles in any area of combat. Now that pulse rifles are going to be improved, keep your eyes open for strong ones. Try to get your hands on the Crucible’s Three Little Words since its got the best Impact. Red Death is already a favorite weapon to some—especially for Crota’s End hard mode—but this buff should make it live up to its morbid lore. Oversoul Edict will still posses undesirable perks for PvP, but a strong argument could be made for its sustained damage in PvE. We can’t say if this buff to pulse rifles will be everything the infamously maligned weapon class needs, but it’s undoubtedly a welcome tweak. With auto rifles and hand cannons simultaneously losing range, pulse rifles are poised to become powerful tools in PvP. Pulse rifles will become a more rewarding choice for Guardians that can consistently land strings of precision shots. They’ll still perform best in mid-range, but their damage won’t fall off as drastically in long-range firefights. Disgruntled hand cannon users should give these weapons a try when 1.1.1. rolls around. Hand cannons are simply too monstrous in the right hands. With the Send It perk, Thorn is able to effectively duel at all ranges—outplaying slower snipers and putting the entire scout rifle weapon class to shame. In the upcoming patch, Bungie will be reducing the effective range of hand cannons and accuracy at high ranges will take a nosedive. This nerf was clearly intended to make choosing a primary more difficult. Hand cannons will still be strong weapons after the patch, but now they’ll need to be coupled with a sniper rifle to cover their new-found weak spot. Functioning as a skeleton key weapon, there just isn’t counter-play to powerful hand cannons that hit like a truck at all ranges. Many in the community don’t seem to be taking the news well, but this change was bound to happen at some point. On the bright side, scout rifles and pulse rifles now have a more clearly defined purpose. Scout rifles in particular felt a little underwhelming in most situations where a hand cannon would have sufficed. This change will hopefully increase the viability of other primary weapons across all modes of play. Hopefully these changes reduce the pervasive power of hand cannons at long-range while maintaining their uniquely fun and rewarding play-style. It’s easy to see why fusion rifles are the “most hotly disliked weapon to be killed by,” according to Bungie. 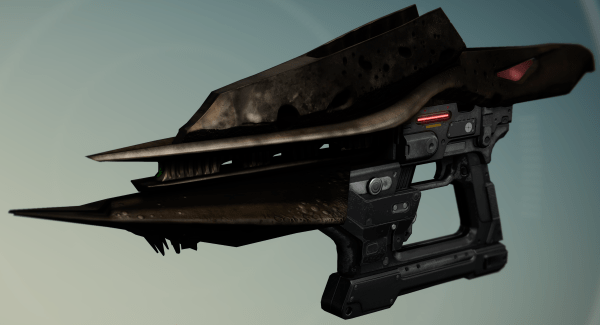 The tell-tale charge of these weapons in PvP often proceeds a single-shot disintegration. Bungie will be increasing the spread of fusion rifle bolts at longer ranges making them less effective outside close and mid-range combat. Additionally, the lower starting ammo is a change intended at making these weapons less of a primary PvP. These changes are really only aimed at Guardians using their fusion rifle for the majority of a Crucible game. Lower starting ammo won’t effect fusion rifles in PvE and reserve ammo has been untouched. In fact, this change may even be a boon for fusion rifles in PvE. With a wider cone, you’ll be able to take out packs of weaker enemies easier, making the fusion rifle more powerful in their intended range. Bungie will be reducing shotgun efficacy at longer range, while previously low range shotguns will remain relatively unchanged. Shotguns will also have a lower starting ammo a la fusion rifles, intended to curb Guardians from using them ubiquitously in PvP. In addition to those changes, shotguns will now deal a whopping 2x damage outside of the Crucible. This buff is intended at increasing shotgun popularity, making them more rewarding against low tier enemies. Unfortunately for these one-shot wonders, the nerf in range is really going to sting. With the increased PvE damage, shotguns are likely to feel more fun in low-level content—sweeping up patrol fodder with ease and turning strikes into whack-a-mole—but this change doesn’t address the real issue at the heart of these weapons. Enemies in high level content have tremendous damage potential. Getting into effective range with a shotgun is suicidal during a Nightfall or against the beefy level 33 minions in hard mode Crota’s End. This patch will do nothing to address that, while further decreasing shotgun power outside melee range. Alternatively, Universal Remote may become more reliable relative to other shotguns. The decrease to range won’t taint this weapon’s namesake perk, providing shotgun enthusiasts with a better reason to equip this weapon in Crucible. All of the upcoming changes are designed at further specializing weapons, forcing Guardians to reconsider their setup more frequently. Auto rifles are losing a bit of damage coupled with a decrease in effective range, but high range ARs like SUROS Regime will continue to haunt Crucible playlists. Pulse rifles are being added to the game. Disgruntled hand cannon fans may find respite in this strange new weapon class due to their wide array of effective ranges. Losing range as well as accuracy, hand cannons will remain powerful tools for close-to-mid-range combat, but damage falloff will be significant in long-range firefights. Thorn users may have forgotten the existence of secondary weapons, but don’t fear—they’re just a button press away. Fusion rifles and shotguns both met with range and starting ammo nerfs intended to curb their viability in PvP. Outside Crucible, shotguns will deal double damage, but will remain a poor choice for high level combat due to their short effective range. Your hard mode group will still kick you for using Universal Remote against Crota. What were you thinking? Scout rifles, sniper rifles, and heavy weapons were performing up to par according to Bungie. Scout rifles in particular will benefit in the wake of range nerfs to auto rifles and hand cannons. Their characteristically high range will finally be noticeable relative to other primary weapons. Hopefully this round of changes introduces better variety to Destiny, especially to the increasingly stale Crucible meta. After the patch you may find your play-style was in line with scout rifles all along. Maybe that pulse rifle you never fired once will become your best friend. It’s unfortunate that Bungie couldn’t just reduce AR damage in PvP and leave PvE alone, basically doing the opposite of what they did with shotgun damage. In the same way, they should of kept all ‘nerfs’ limited to PvP, as PvE balance isn’t an issue at all. Speaking of shotguns, as stated above, their use in endgame PvE is very limited. Reddit user omniwnk posted an excellent analysis of why shotguns still aren’t going to be useful in the harder content, such as Crota’s End. Whatever the case, we’re excited and a little nervous about the sweeping weapon balancing.